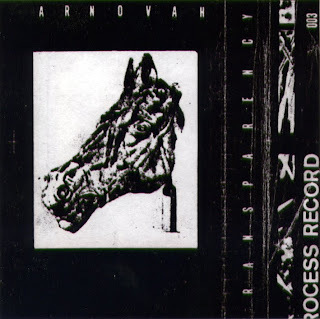 No info about that cassette, and nearly nothing about french artist Arnovah on the web. Only the files. But when the music is as good as that, this is enough ! Crazy Costes singing on musics by In Aeternam Vale, Stenka Bazin, No Unauthorized, Vox Paris, Jeff Laryngo and Groupe 33. 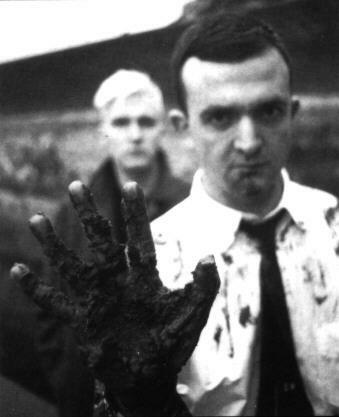 Mostly unknown but excellent french noise industrial artist from the golden age. 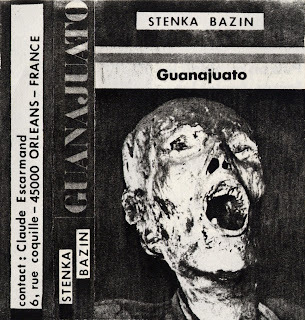 Claude Escarmand (alias Stenka Bazin) was also running the Émergence Du Refus label. 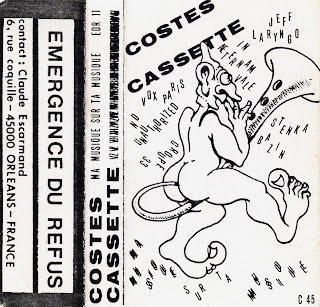 "Mars" is the first cassette released by La Procédure label (a division of Le Syndicat label), and comes in a special cardboard box with a 52p. artwork booklet. 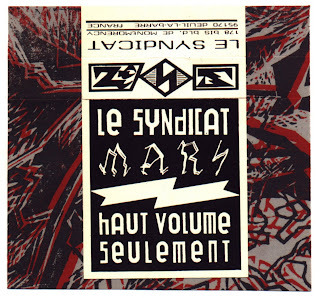 After many years of silence, Le Syndicat is coming back soon !!! An amazing LP with new material is to be released this year by french label rotorelief. 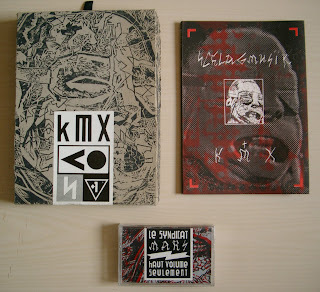 Before that, a CD will be released by russian label Monochrome Vision : "This CD is a collection of rare tracks previously released on obscure tape compilations and includes the very first live recording session". Meanwhile you can listen to the special podcast about Le Syndicat our russian friends have recently produced. This is Dark Alceste De Socaï Vômie (alias Marc Alhanati) debut LP, one of the few LPs by french artists on RRR label (after X-Ray Pop and Le Syndicat). 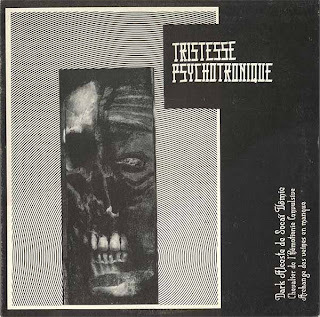 The second record by Dark Alceste De Socaï Vômie was a mini CD released by SFCR. The third and last record, released under the artist name Dark Vomal Âme-Code, is a CD that is quite obscure and not distributed anymore. 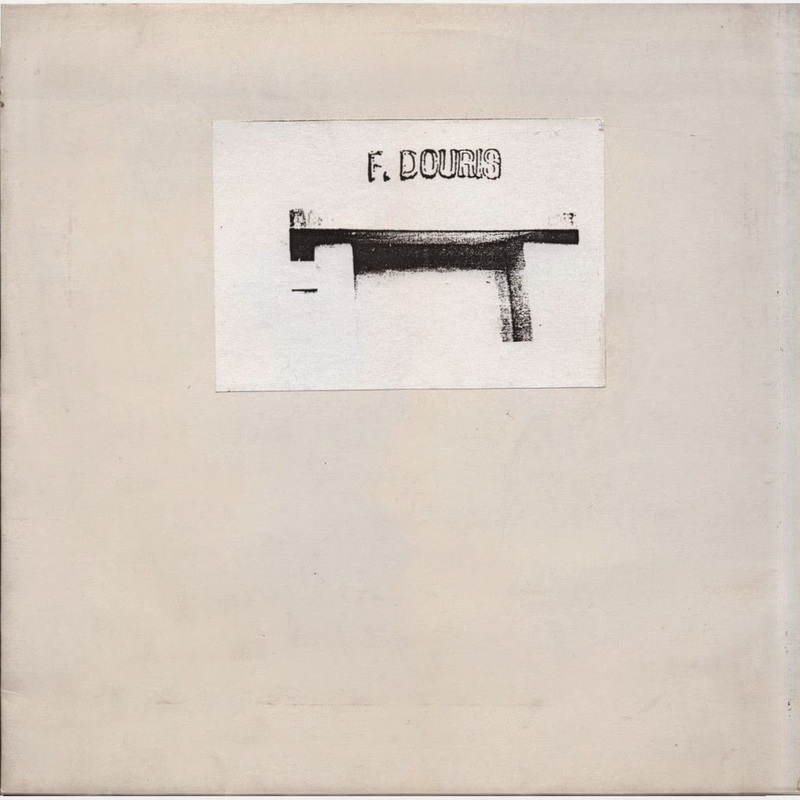 Minimal noise debut LP by french sound artist François Douris. As far as I know, "Le Disque Bruitiste" was initially a self-released LP, but RRRon decided to buy the stock and then it became a RRR release. François Douris is also running Les Disques Bruitistes label and is looking for artists to be released. 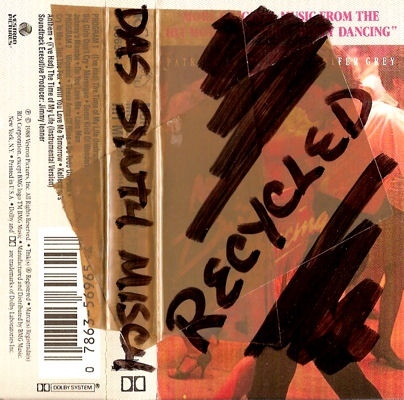 NOT TO BE MISSED : DSM will be playing live in Paris on july 17th. Infos here. 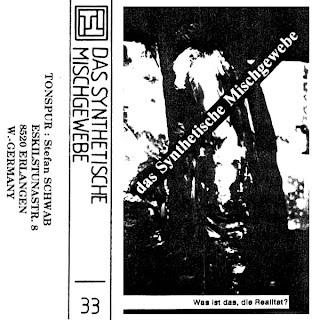 Das Synthetische Mischgewebe - Was Ist Das, Die Realitat? Another DSM cassette requested by Wackelpeter.